When it comes to creating a brand online for a blog or website, many people will build that blog around themselves. 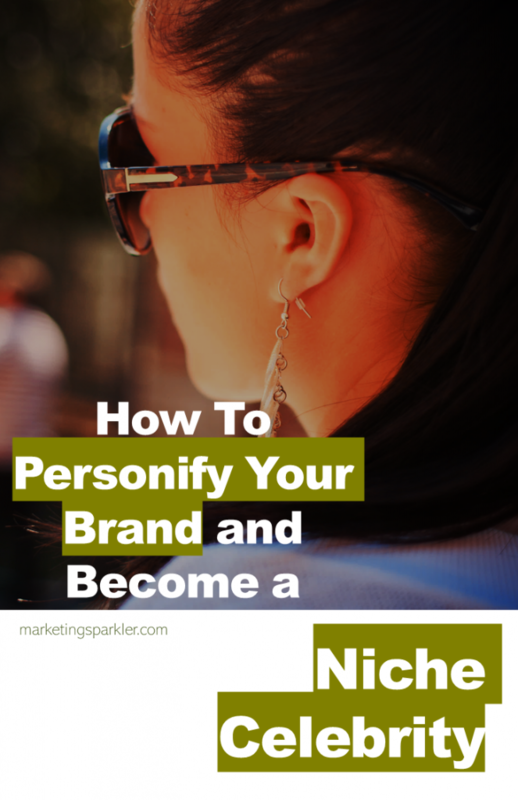 What does personal branding look like? In other words, if you look at the likes of Peg Fitzpatrick, Tim Ferriss, Pamela Slim, Pat Flynn, or other big bloggers, you will see that they are partly what sells the brand and their techniques. People listen to them because they have come to trust them and because they almost feel like they know them. This is the art of personal branding. Showing your face is not a necessity for every blogger. However, if you’re representing a non-corporate entity it gives you an advantage over a faceless logo. Your face will certainly open more opportunities for marketing yourself. For example, if you want to create YouTube videos to promote your website for instance, then you will need to get in front of the camera. The same goes for podcasting. Your mic, your voice, your brand. What’s more, personal brands are often more memorable, more engaging and more trustworthy and can be more effective as a result. Personal brands are often more memorable, more engaging and more trustworthy than corporate brands. But what do you have to do to become the sort of person people will listen to? If you’re going to get behind the camera to talk about a certain technique, product or view, then you need to be the sort of person who can inspire the confidence of viewers and fans. Likewise, if there are photos of you on your website, then you need to ensure people see you as someone they want to learn from. The first thing to do is to ensure that you embody your message. What this means, is that it should be clear to look at you that you practice what you preach and that what you do works. So if you’re selling a fitness product, you need to be strong. Does this mean that an overweight person can’t sell a weight loss supplement? Not necessarily – but it will certainly be harder. It’s worth putting in some work to shed the weight first or choosing a different industry. #PersonalBranding Tip: Demonstrate that you practice what you preach and that what you do works! Next, you need to speak with confidence and authority. This partly means doing your research and diving into your niche. At the same time though, it also means that you need to practice speaking in front of a camera. Slow down, breathe and have a script. This will partly come with practice. Finally though, try to stay approachable and human. The more approachable you seem, the more trustworthy you’ll appear. Yes, you want to seem inspiring and accomplished, but not to the point that you become detached and inhuman. A good example would be to look at Tim Ferriss’ fourhourworkweek.com/blog/. This is a hugely successful blog in the fitness/self-development/productivity niche that was launched off of the back of the ‘Four Hour Workweek’ blog. Then you have a person like Oprah Winfrey, whose brand and name are inseparable. There are benefits of using your own name and face in your branding. If you’re trying to build authority and trust in a particular niche or industry, then having a personal brand is an excellent strategy. That’s because personal brands are particularly memorable – the human brain evolved to remember names and faces far more than random words and titles. Why use your name and face in your branding? We remember names and faces better than random words. Personal brands work even better if you continuously exude your message, service or product. This way, you can become at once a credible authority and show proof that your product or techniques work. Creating a brand is really important, for sure. It intrigues people and increases your popularity. Definitely useful!